To follow whith big AuM. 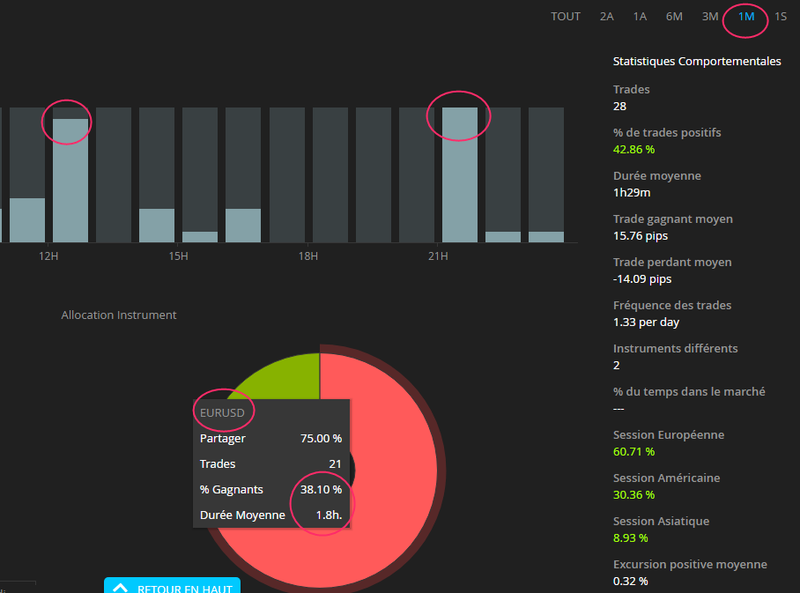 You love to concentrate on darwins arrived yesterday, divergence of new and empty darwins is almost always positive, because the risk manager slices the trades and improves the execution, so it is useless to tease the Capacity score. Let's concentrate on darwins with an AUM since a lot of time and some problems with divergence, for example JMC. Working with majors helped in this case, its divergence has gone back to -0.30% and is also consistent with its Capacity estimation, it has 300/500k and divergence is -0.3/-0.5 . For example JMC is also trading 15 pips . Not ! $JMC essential trades at the limit of overnight: 21-23h gmt !